Two alleged interstate drug cartels have been busted and six people were arrested here with 20 kg of heroin worth Rs. 80 crore, police said Monday. The Special Cell of the Delhi police received information that the two separate cartels were active in West Bengal, Uttar Pradesh, Punjab, Delhi, and Madhya Pradesh, the police said. Sajid Ali (32) and Shakir (27) were apprehended from Rithala on Sunday evening when they came there in a truck. 15 kg heroin was recovered their possession, said Sanjeev Kumar Yadav, deputy commissioner of police (special cell). The accused disclosed that they had been supplying drugs for the past four-five years at the behest of Rashid, a resident of Bareilly, Uttar Pradesh. They used to receive the heroin from West Bengal’s Malda district, where the raw material came from Myanmar, Yadav said. 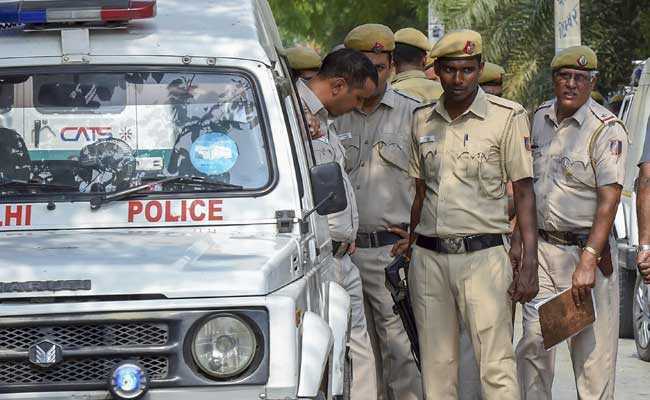 In another incident on Friday, Mausam Ali (30), Chhote Khan (55) and Sanjay (36) were caught near Nirankari Sarovar in Delhi after they arrived in a car to deliver heroin to one of their Delhi-based contacts, the DCP said. 3 kg heroin was recovered from the two, while 2 kg of the narcotics was found in a secret cavity made around the speedometer and inside the arm rest on the rear seat of the car. Based on their inputs, the main supplier, Jalil Khan (50), was arrested from Bareilly, Mr Yadav said. During interrogation, Mausam, Chhote and Sanjay revealed they used to receive the heroin from Jalil and Mustikam, both residents of Bareilly, and supply it in UP, Punjab and the National Capital Region, the police said. Jalil said he used to receive the raw material from Bareilly and later prepared the heroin at his secret hideouts, the police added.